Some brokers must be sick of hearing about diversification. It’s a philosophy that has been promoted innumerable times by innumerable industry figures. There are many brokers out there with successful businesses who just focus on home loans. So why change? Diversification isn’t an idea that’s exclusive to mortgage broking. It’s a principle common to all industries – and indeed to life itself. There’s a reason why people have been repeating the proverb ‘don’t put all your eggs in one basket’ for longer than anyone can remember. The booming mortgage market has attracted new brokers looking to cash in, but the good times won’t last forever. BIS Shrapnel has forecast that prices in the red-hot Sydney and Melbourne markets will start retreating in 2016/2017. When that happens, more brokers will be competing for less work. Diversified brokers will be less likely to feel the pain than the one-trick ponies. Banks have known for years that the more products you sell a client, the less likely they are to shop around. Cross-selling also means more sales per customer, which means diversified brokers can survive on fewer clients than their one-track contemporaries. However, diversification isn’t just a strategy for the bad times; it’s also useful in a strong market. After all, greater client loyalty and increased sales are good news in any environment. Nobody could say that times are tough at Mortgage Choice right now. The group posted a record profit of $20.1 million in 2013/2014, up 27.1 per cent on the previous year. Settlements also climbed 18.1 per cent to a record $10.4 billion. When chief executive Michael Russell announced an equally impressive set of financial results for the six months to 31 December 2013, he explained that the GFC had made Mortgage Choice a better business. Mr Russell said the financial crisis had forced franchises to become more efficient, allowing them to reap the rewards when the market turned in their favour. “Our chance has come and we really are working very hard to make hay while the sun shines,” he said. Diversification has been an essential part of that story. Returning to the 2013/2014 annual results, Mortgage Choice announced that the firm had “successfully transitioned into a diversified retail financial services player” during the financial year. Sales of diversified products grew by 71 per cent and went from representing five per cent of total revenues to seven per cent. The group’s investment in Mortgage Choice Financial Planning was also said to be tracking ahead of schedule. “We project that we will spend $2.5 million to move this business to profitability, against an original forecast of $3 million, and we still forecast to turn a profit on a monthly basis during the [2014/2015] financial year,” it announced. The planning business expects to have 60 advisers by June 2015. Mortgage Choice brokers offer a wide range of products and services: home loans, business loans, vehicle finance, equipment finance, insurance and credit cards. They can also refer customers to a Mortgage Choice financial planner. The group’s general manager of product and distribution, Andrew Russell, says it makes sense for brokers to have such a wide offering since customers now regard them as trusted financial advisers rather than just mortgage sellers. “They come in to have a discussion about their home loan but they end up asking for direction on other financial services and products. “If brokers want to serve their customers better, they need to have information and products available to satisfy those customers’ needs,” he says. Mortgage Choice essentially embraced diversification after its brokers reported a sharp rise in customer enquiries about additional products and services. “What we’re also seeing on the recruitment side is that people who are looking to enter the industry, one of the things they find attractive is that we’re positioning our offering now as not only being best-in-class brokers, but that we’ve got a financial services proposition, whether it’s planning or asset finance or commercial,” he says. Mr Russell says the market is slowly starting to recognise that Mortgage Choice is a diversified financial services company, which is making its brand more valuable. He respects the decision of those brokers who would prefer to focus on mortgages, but acknowledges that some of those veterans are “starting to hear about diversification from all angles”. “They’re watching and seeing some of their fellow franchisees really embrace it and the increase of revenue into their businesses,” he says. So, diversification doesn’t just make a group’s brand more valuable, it can also make their brokers’ brands more valuable. Mr Russell believes there needs to be a “mind shift” within the industry for the benefits of diversification – and the skills demanded of it – to be recognised. He adds that Mortgage Choice’s training has evolved accordingly. “We now internally talk about Mortgage Choice as a financial services company. Our training now is all around creating a life of abundance for our customers,” he says. The case for diversification is a strong one – but the case against is also worth noting. Many experienced brokers have built up impressive loan books and feel that moving away from their core business is not only unnecessary, but may also prove to be a costly distraction. Time may prove them right. However, it’s also possible they will regret not having more touch points with their clients when the market inevitably cools or when they wish to sell their business. New brokers are in a different position. Men and women who enter the industry will increasingly be taught about diversification from day one, whether they join Mortgage Choice, another branded group or operate as an independent. According to research commissioned by the MFAA, brokers were responsible for 51.5 per cent of residential finance for the three months to 30 September 2014. Brokers were also responsible for 67 per cent of the growth in the mortgage market during the 12 months to 30 September 2014. The third-party channel is not just a growing force; it is now the dominant force in the Australian mortgage market. That suggests consumers are placing more and more faith in the expertise and integrity of brokers. It suggests they will increasingly demand a wider range of products and services from their mortgage professionals. This, then, is why Andrew Russell from Mortgage Choice believes there needs to be a “mind shift” within the industry. “Those that aren’t shifting and positioning themselves as finance advisers are going to get left behind,” he says. So apologies in advance to those brokers who are sick of hearing about diversification. The talk will only get louder in the years ahead. Aaron Christie-David always knew he was going to embrace diversification when he finally made the switch from banking to broking. Mr Christie-David acquired Mortgage Choice’s Sydney South franchise in July 2014. Before that, he spent four years with the Commonwealth Bank, where he served as marketing manager for third-party and mobile lending. He came into contact with many brokers during those years and noticed that the successful ones usually offered more than just home loans. About 20 per cent of his revenue now come from other products, he says. “Residential home loans are the core of the business, and ideally will always be, but clients have other needs and if you can service those needs, you can always be that go-to guy,” he says. “I came out of a bank, where a big metric was products per customer, so they would be stickier. That’s not just from a sales point of view but also from the point of view of meeting their expectations. If you can meet all their needs, I think that’s when you’re satisfying the customer rather than them having to go and shop around. 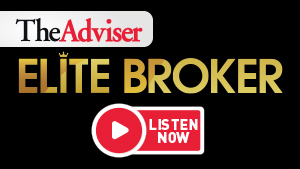 Mr Christie-David says embracing diversification might require established brokers to adopt a new mindset, but adds he was in the fortunate position of having it drummed into him while he was doing his Mortgage Choice training. “I’ve been through the process as a borrower, and I know that you do need the insurance, you do need a financial plan. I also see this as a part of responsible lending,” he says. Owun Taylor says his clients love the fact Mortgage Choice Newtown has had an in-house planner since last April. “We’ve had the business for 14 years, and for 10 of those we’ve realised the importance of financial planning in someone’s life. We’ve referred to many different planners over the years and have sometimes been a bit disappointed with their follow-up or attitude,” he says. “[Clients] love the fact that we’re a solutions-based business now. Newtown’s in-house planner, Anthony Kurver, says referrals flow smoothly between him and the office’s three brokers. “It’s to the point where me and Owun do a lot of joint meetings with clients to introduce the concept of planning. They’ve got access to my diary so it’s a matter of just booking a meeting,” he says. Mr Taylor says the planning experiment has been so successful that it will soon be taken to the next level. “Anthony is at the stage where he’s doing so many appointments that he needs help with the admin. So we’ve given him some admin support. The next step would be another planner on board,” he says.